Ready to take over your Instagram feed! Fiorucci’s cult angelic graphics have just been introduced to adidas’ legendary sports heritage designs, and they make for a surprisingly brilliant match. The Italian label has united with the 3-Stripes brand to create a capsule collection for SS19. This remarkable fusion of ideas has resulted in a reinvented flatform Sambarose, accompanied by collaboratively branded t-shirts and wet leather co-ords à la Sandy from Grease. 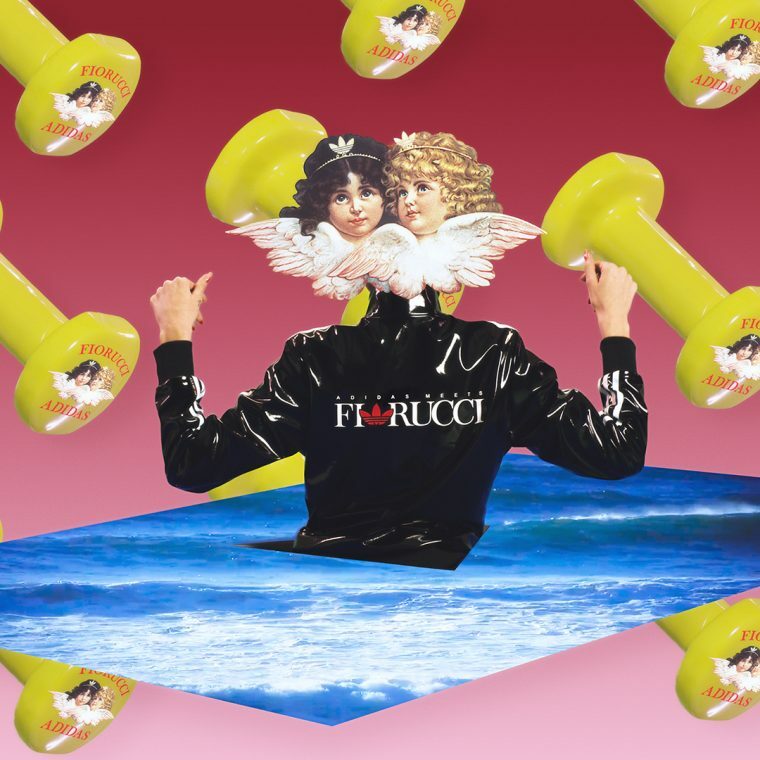 Inspired by the late great Elio Fiorucci’s roots in the ’80s, the range mirrors the lighthearted fun which was epitomised by this thrilling period in fashion history. adidas Originals’ 3-Stripes stage a takeover in classic form, racing down the sleeves of the tees and sweatshirts in white, while an adidas Meets Fiorucci logo has been customised with a Trefoil stamp, replacing the ‘o’ in the brand name. The obvious must-have pick from the pack is the Classic Angel Tee, which is cropped and fitted with Fiorucci’s emblematic print for an iconic look. adidas’ Fiorucci branded Sambarose is another essential, arriving with flair in red and cream, complete with glamorous flecks of glitter which shimmer on the elevated midsole. 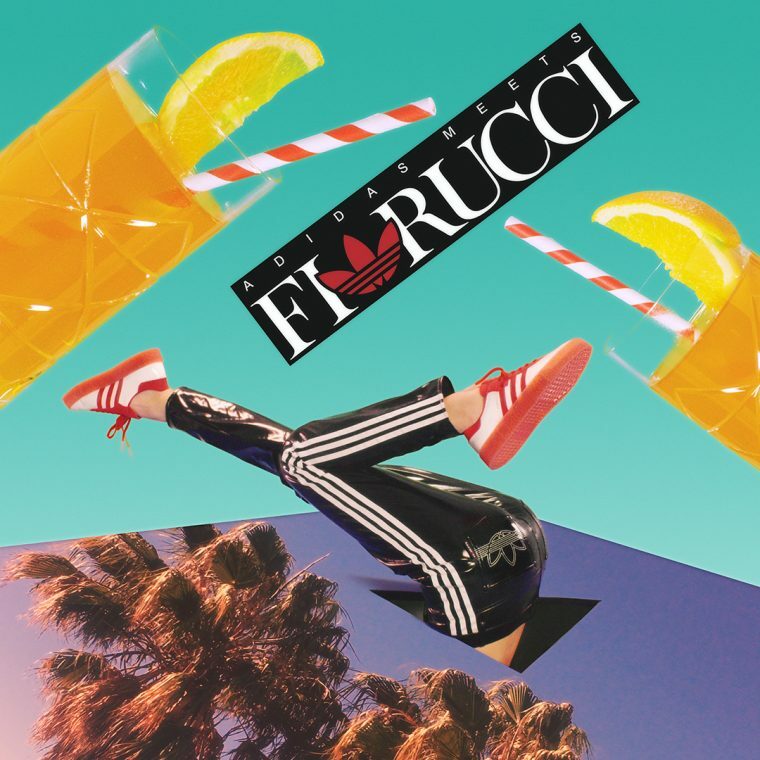 The Fiorucci x adidas collection is set to arrive on February 15th at adidas’ online store. Keep it locked to our social media pages for important updates ahead of the launch if you’re hoping to secure your favourite pieces.